A group of individuals from within the drag racing and performance automotive aftermarket community has launched the Quarter Mile Foundation with the express intent of creating a documentary to capture the history of drag racing and the performance automotive aftermarket that spawned from it. Additionally, past the documentary, there is an urgent need to preserve and archive this history told by its documents, photographs and movies. 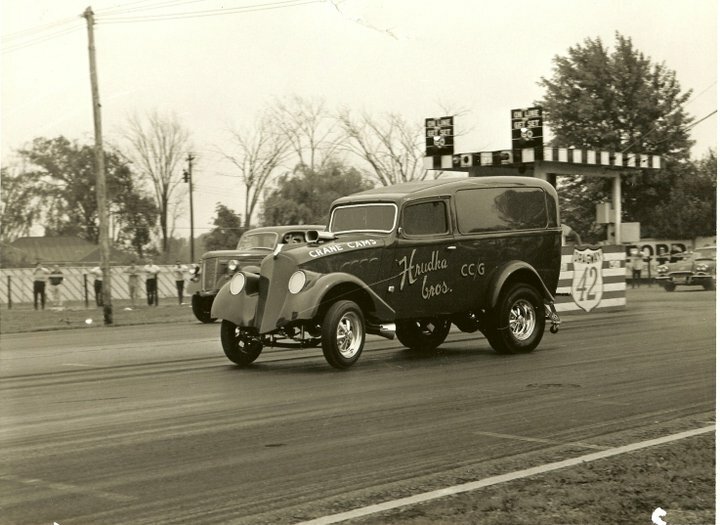 Now that the sport has gained popularity, with large corporate sponsors and a multi-billion dollar industry attached to it, industry professionals felt that it was essential that the new generation of drag fans and car enthusiasts have access to its history. How did drag racing and the performance aftermarket grow from its DIY, grassroots beginnings to become the multi-billion dollar industry it is today? The most critical undertaking is to get the remaining pioneers oral recollections and stories that built a truly “American Dream.” With that thought, PROJECT 1320 was born. PROJECT 1320 will be more than just a film series to document drag racing’s roots; it is an important step to bridge the gap between the automotive and drag racing enthusiasts and 98 percent of people who are not in that “community.” PROJECT 1320 will give the audience an entertaining yet educational and historical view of what “Good ‘Ol American Elbow Grease” can achieve. This documentary will show a display of American ingenuity and perseverance as well as capturing and preserving our historical treasures to share for generations to come. More importantly, this project is part of an effort to save the industry from those who, out of ignorance, would accidentally erase the automotive enthusiast/motorsports communities and its contributions as a part of American Culture. 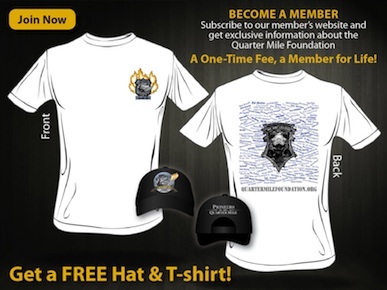 In conjunction with the documentary, The Quarter Mile Foundation will develop an archival repository. The intent will be to identify and catalog the materials – documents, photographs and movies – donated and collected to create a formal anthology. This information will be used for future projects AND for research by other individuals for articles and other products which will further communicate the story of drag racing and the performance aftermarket. The Foundation also has plans to create a “Mobile Thematic Repository” (MTR) of special interest ‘segments’ or platforms within the sport or industry. The intent is to tour these themed archival materials to museums, events, universities and other facilities. These venues are sometimes limited by what they show and cannot store other materials vital to the preservation of the sport’s/industry’s history. By preparing thematic displays with impact, the Foundation can provide a new reason to attract visitors AND assure the message continues to resonate. 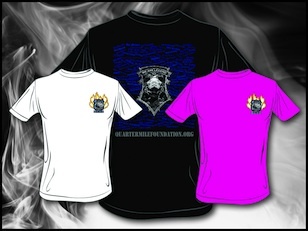 The Foundation will create a multi-media DVD, covering the display theme to compliment the MTR. This would provide visitors with reference material for their personal archives for future enjoyment. Further, the Foundation’s repository would be able to accept and catalog a wide range of materials relating to the sport and the industry. The repository would accept not only photographic and motion picture materials, but the printed material and other historical documents as well. The PROJECT 1320 documentary and the complementing archive/repository are a blueprint to assure the protection of the historic heritage of drag racing and the performance aftermarket for the generations to follow on the trail blazed by the pioneering legends.